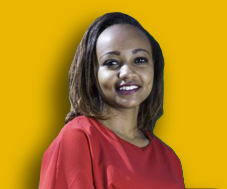 Betty is the founder of Betty Consultant & Management Ltd. She is an Economics Graduate from Kenyatta University, a Certified Public Accountant and an ICPAK member. A specialist in corporate and individual tax, she has overseen her clientele in all sectors compliant. She is dynamic, highly qualified with extensive knowledge of accounting principles and audit procedures. She is an expert at customer relations with strong communication skills.